The BMW Welcomes is an innovative event series to give special customers unique knowledge at a very high level. Through the exclusive audience BMW Welcomes will foster meaningful conversations surrounding current developments and future trends. The next event is going to be held on June 23rd, 7.30 pm(CET) at BMW Welt and will focus on Future Mobility. Future Mobility is the way we will transport ourselves in the future by significantly increasing range, speed and acceleration of the journeys while at the same time reducing cost and environmental damage. The 21st century brought us strong regulations and limitations for transportation alongside a never seen transparency and awareness of global change due to environmental pollution. This change forced major automotive players to rethink the tradition of private car ownership and created space for innovations by companies that are not traditionally associated with transportation. Development and change is already happening today in car sharing, space travel, high speed transportation, self-driving / electric cars, unmanned vehicles and in many more of our future life areas. 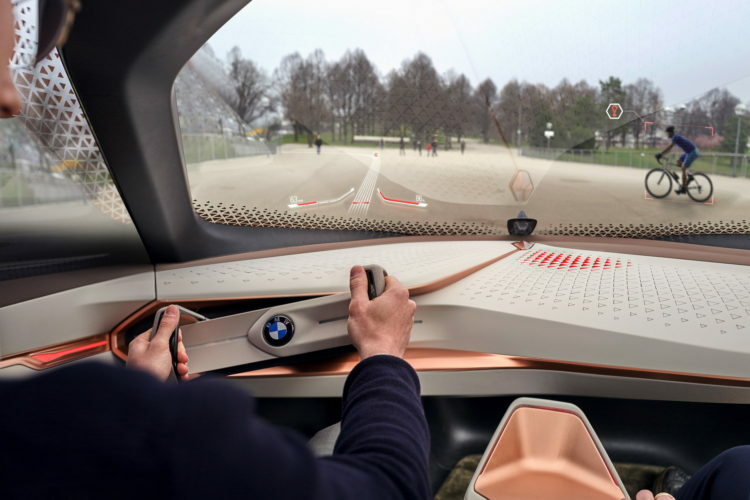 BMW has recently shown three different Vision Concepts which further explore this cultural change. The BMW Vision Next 100, the MINI Vision Next 100 and the Rolls-Royce Vision Next 100 all explore the next generation of self-driving automobiles and digital integration between cars and its drivers, or in some cases, its passengers. The following guests will speak live at the BMW Welt on June 23rd.